The Hawaii Supreme Court issued an order yesterday disbarring Honolulu attorney Thomas S. Leong from the practice of law, effective May 4. 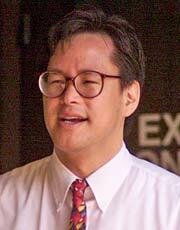 In a statement the court said that Leong, 42, was disbarred for "multiple ethical violations (that) included misappropriating his clients' funds, failing to deposit his clients' funds into his client trust account, creating and submitting a false or fabricated trust account to deceive the Office of Disciplinary Counsel and to avoid disciplinary action, and failing to respond to his client's telephone message." Last May, a federal jury found Leong guilty of conspiring to smuggle drugs into Halawa prison and attempting to distribute crystal methamphetamine, or "ice." The jury also found him guilty of possessing with intent to distribute 50 grams or more of methamphetamine. Leong was arrested April 18, 2003, with two ounces of ice that he purchased for $3,000 from an undercover officer at Aloha Tower Marketplace. The Supreme court statement said Leong, a graduate of Pepperdine University of Law who was admitted to the Hawaii bar on Aug. 24, 1993, would not be able to practice law until he is reinstated by the court. The statement said: "Leong cannot accept any new retainers, clients or legal matters. Leong must also return to his existing clients their papers, property and unearned advance fee payments." Leong's attorney could not be reached for comment.